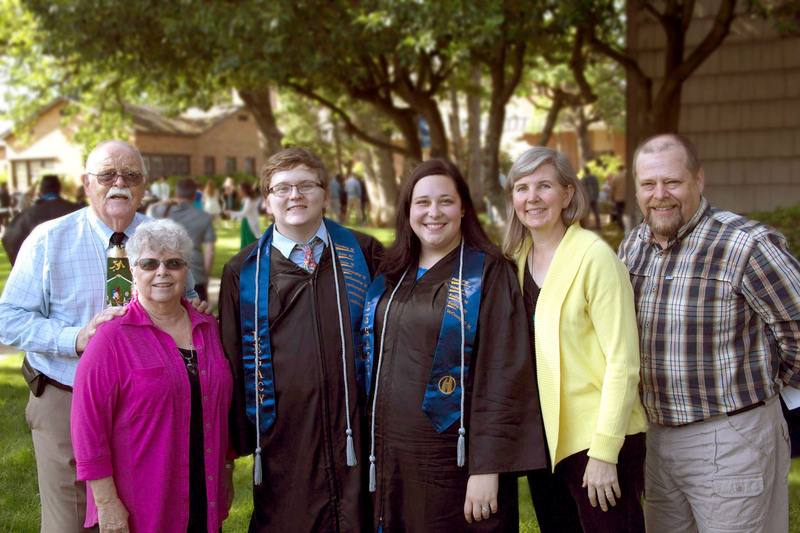 The George Fox University Legacy League – formerly the George Fox University Auxiliary – is a service organization dedicated to support of the university. Members include friends, alumni, parents and employees of the institution. The organization sponsors events that provide funds for endowed scholarships each year, given to one or two undergraduate students. The Legacy League offers members meaningful volunteer opportunities, inspirational programs and a friendly community. Anyone interested in helping make a difference in the lives of George Fox students is welcome to join the Legacy League. An RSVP is required and can be done by calling Judy Woolsey at 503-538-7314 or Connie Magee at 503-927-5011. 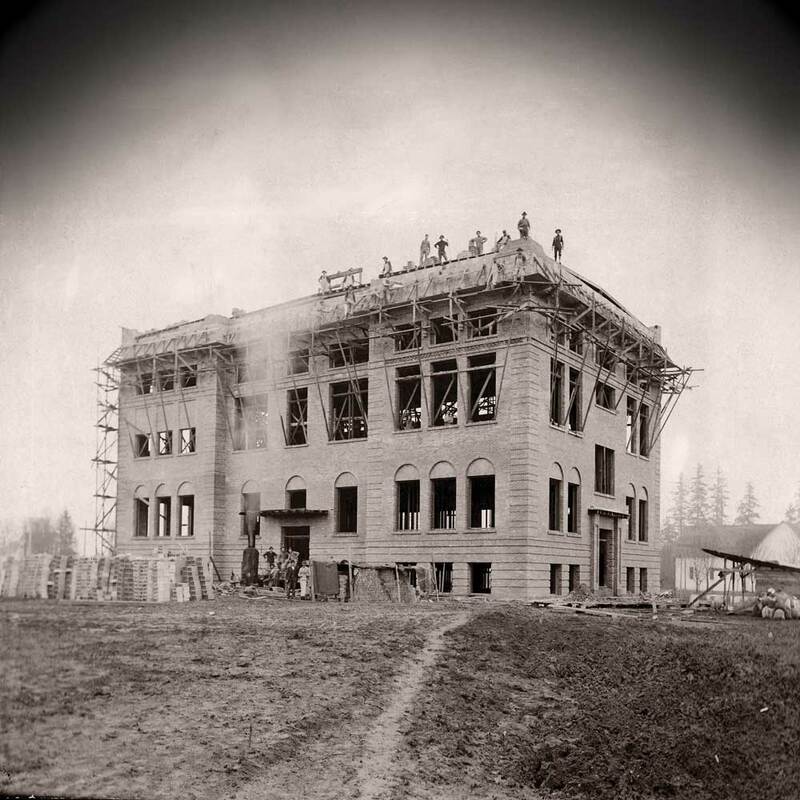 The organization began as the brainchild of two Newberg women, Amanda Woodward and Evangeline Martin, who, in 1910, canvassed the Newberg countryside with a horse and buggy to raise $30,000 to erect the three-story Old Main, opened in 1911. The building was later named “Wood-Mar Hall” in their honor. Woodward and Martin gathered 225 initial members for the Pacific College Women’s Auxiliary. The name was changed to the George Fox College Women’s Auxiliary in 1949, to the George Fox College Auxiliary in 1977 – when men were welcome to join as regular members after years of being allowed only as honorary members – and to the George Fox University Auxiliary in 1996 with the school’s change in name following the acquisition of Western Evangelical Seminary. 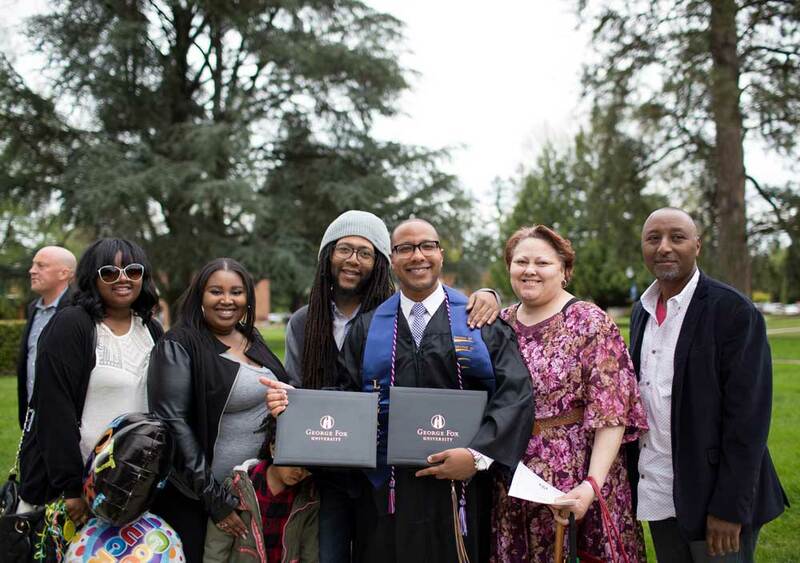 More recently, in the fall of 2018, the name “Legacy League” was adopted to “appreciate our heritage,” according to Ruth Baker, executive committee member and wife of George Fox President Robin Baker. 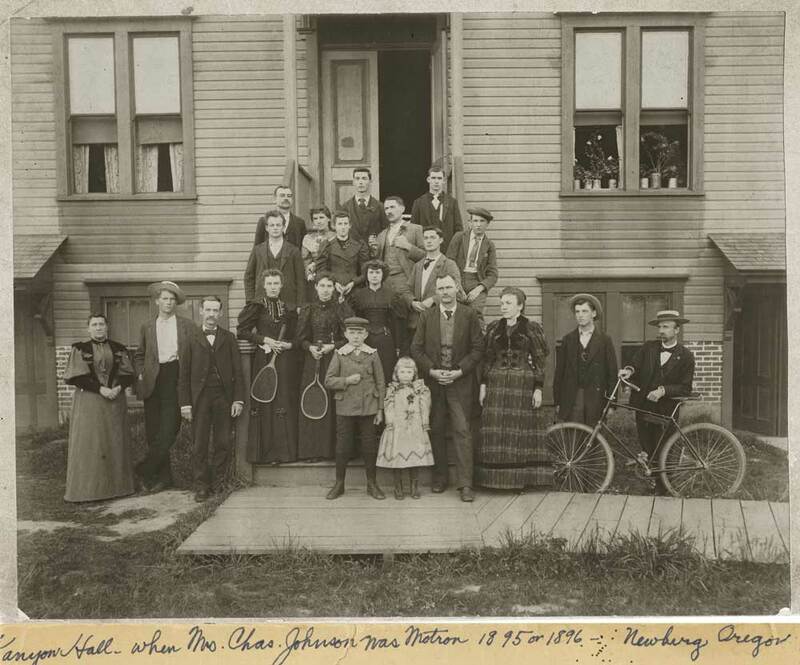 When founded, hundreds of volunteers raised funds to supply students in Kanyon Hall (later named Minthorn Hall) with basic dormitory room essentials of kerosene lamps, pillows, blankets and dresser scarves, and the dorm’s kitchen with equipment and even tea towels. Over the years, the auxiliary provided a new refurnished alumni lounge in Minthorn Hall; funded shelving and cabinets for the Quaker Room in the newly opened Shambaugh Library; funded the project to improve the campus quad with its first Victorian light fixtures; raised money to provide the campus with two lighted reader boards; and, in more recent years, provided presidential china for special events and furnishings for the Edwards-Holman Science Center atrium. Since 2000, the organization’s emphasis has been on providing student scholarships, currently with an endowment of about $112,000, and two scholarships of approximately $2,500 awarded each year.